If you’re looking for premium medical marijuana in Southern California, you already know where to go – Bud Man OC. However, if you’re anywhere else, your best bet is to use Weedmaps. Using Weed Maps to find premium, quality medical marijuana is as easy as knowing your address. The hardest part is determining which cannabis dispensary or weed delivery company provides the best experience, service, and a quality product worth paying for. There are amateur marijuana providers, and then there are professionals. Professionals can drop knowledge about their products and understand the different strains that mitigate headaches to ones that help with muscle pain. An amateur on the other hand, will attempt to sell you black gooey butane honey oil (BHO), a cannabis concentrate, and claim that the stuff is “clean”. The worst cases when dealing with amateur weed companies are when you have purchased a specific strain, but receive something completely different than what is advertised. Unfortunately, this happens. Enter your address or zip code to easily find a legitimate medical weed dispensary, doctor, or clinic near you. Now that you’ve located your local suppliers, narrow down your choices by examining reviews. Look for shops with 80+ reviews, as these are considerably more credible. Take your time to read through reviews and to select the shops that best match your needs for customer service, location, operating hours, etc. As a general guideline, we like dealing with companies with a 4.8 rating or above. In addition to reading reviews, be sure to thoroughly read through shop menus. Trust only current menus with expertly described strains and product offerings. Select your favorite supplier using the above steps and best practices. 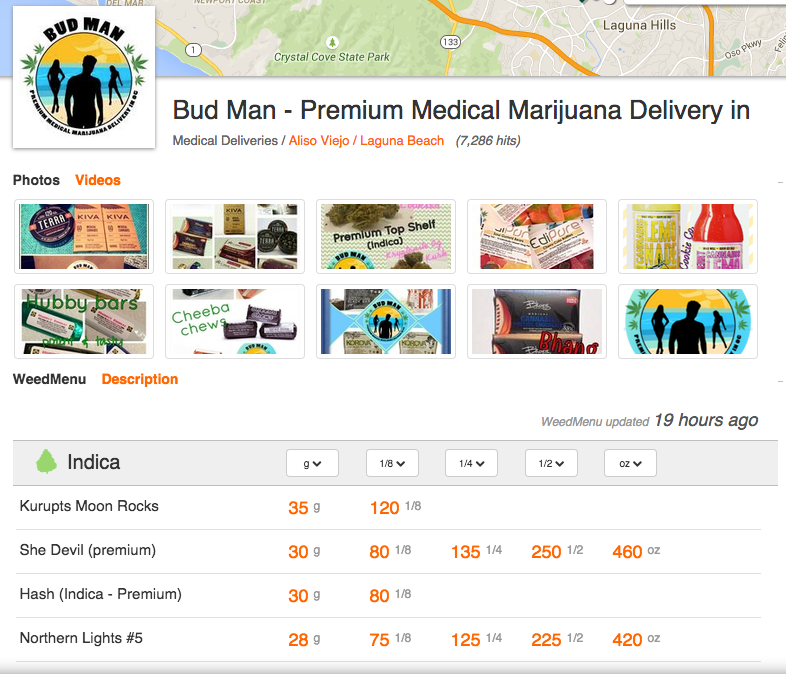 Easily find a reputable medical weed supplier like Bud Man OC and start enjoying your premium, quality marijuana instantly. Have any tips on using Weedmaps? Comment below.